How Does Social Media Impact State Stability? Today approximately 2 billion people use social media websites around the world and 96% of all content on these sites is from individual users, not brands or companies. These numbers exceed that of people participating in democratic elections every year. This is a mass phenomenon, but it is unequal, remaining in urban areas. Yet, urban populations are growing. More than 52% of the global population live in cities. However, what people often forget, is that even with exponential growth, users of social media usually have their belief systems already in place. 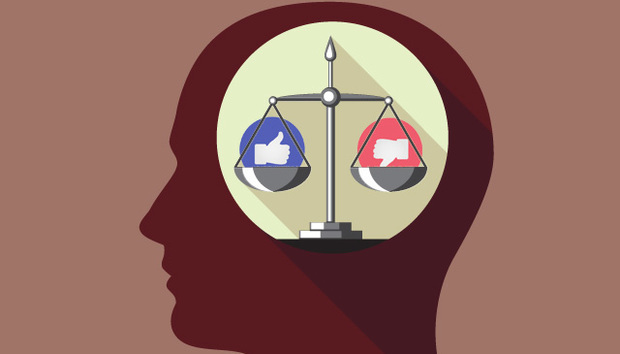 In the 2014 Pew Internet’s 2014 study that mapped Twitter topic networks and clusters of users with polarized views, it was found that people organized according to their personalities and affinities. Social media helps users find like-minded people and organizations, and helps them collect and congregate. It does not do so much to generate new beliefs or challenge personal versions of the status quo. Hougland calls communities on Facebook and Twitter “extra-national” as they are often more important to users than nationality. Say religion, or a popular cult interest, or a political goal like environmentalism. Yet, even though social media users instigate unrest, they don’t create it anew. Social media only helps amplify existing attitudes of unrest across states. Thus it is embedded in the pre-existing social fabric of the “real world”. One of the biggest terrorist threats on the planet today is the Islamic State of Iraq and Syria, or Islamic State (IS), and the devastation it has rained on Iraq. IS used YouTube and Twitter to broadcast the beheadings of captured journalists James Foley, Steven Sotloff and humanitarian worker David Haines. The filming of these acts and distribution via social media is a geopolitical trend. As a contributor to global political unrest, the way IS has used social media to broadcast and recruit is the biggest issue in the regulation of social media. The purpose of IS is not just to spread its message, but to find like-minded people. Groups like IS tap right into the sociological truths of social media and can use them to gain sympathy and funding. This push towards Balkanization by online communities, receives a push back by governments in the shape of bans on websites and censorship. Edward Snowden’s leak of NSA’s global surveillance operations is one example of how, through surveillance, the government pushes back at the freedom of association that social media offers. Another example is that of Brazil wanting to nationalize its email services and store all data within Brazilian borders. This Balkanization is the incentivizing factor for governments to try to control internet communication in the wake of social-media aided populist revolts. Most recently, Sheikh Abdul Aziz al-Sheikh one of the top clerics of Saudi Arabia gave a statement saying that Twitter was the “Source of all evil”. He said, “People are rushing to it thinking it's a source of credible information but it's a source of lies and falsehood.” Ironically, Saudi Arabia has the largest number of twitter users in the world and the statement has led to a fast polarisation of views on Twitter with those who support the Sheikh, Tweeting their support. The famous online protester Wael Ghonim, who created the “We Are All Khaled Said” Facebook page didn’t initiate the protests in Egypt. In fact, he waited until he had 100,000 followers or “fans” before he announced and coordinated the protests on January 28 in 2011 against the Egyptian Government. Social media does not hold full responsibility for the massive rise in attendance protests, but there is a strong correlation between the amount of social media pressure and the motivation and protest involvement. This was seen especially in the Egyptian Revolution. The risk is not that these revolutionary actions happen, but that they can happen in months rather than years now. When governments try to ban websites, it amounts to shooting the messenger and ignoring the message. Historian Pankaj Mishra says in the Bloomberg View, “Few people in 1900 expected centuries-old empires — Qing, Hapsburg, Ottoman — to collapse by 1918.” The fact is that the way states and governments are constructed has evolved over time. « Africa: What Does Ebola Reveal About Business?